Pokemon Emerald Version (AKA Pokémon Emerald, ポケットモンスターエメラルド Pocket Monsters Emerald in Japan) is a 2D role-playing game (RPG) developed by Game Freak and released for the GBA in 2004. 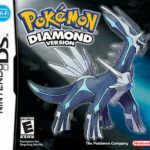 It is an enhanced version of Ruby Version and Sapphire Version and is part of the third generation of the Pokémon video game series. As a remake of the third generation games in the series, Pokemon Emerald Version reimagines the brilliant plot of the original Hoenn journey in Ruby and Sapphire. By its own right, the game establishes itself as a unique entry because of its own great moments in its plot and gameplay-wise. With over 130 monsters to collect in the game alone, excluding the other hundreds you can get from the FireRed and LeafGreen versions, the game represents the series’ recurring theme of catching them all. The game incorporates significant additions to the story and post-game content— and the changes are enough to make the previous games seem like primitive beasts. Pokemon Emerald strikes a good balance between the narrative of the two games, and making it cohesive even with all the plot-related Pokémon and trainers battles that were changed. This is good reason for veterans to try the game despite the presence of recycled elements graphics and production-wise. The gameplay retains the same mechanics introduced in R/S such as the tag team battles and pokemon natures. The game does make tweaks to the abilities of certain pokemon and introduces an entirely new challenge arena called the Battle Frontier. Designed for more experienced players, the arena allows the player to participate in single and tag team battles against stronger AI-controlled trainers. This battle mode is perfect for competitive players who find the main story too easy as opponents make smarter decisions and use higher level Pokémon..
Random encounters are now more diverse because more monsters are available. Exploring tall grass areas, caves, or the depths of the ocean is a lot more fulfilling compared than before. 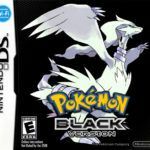 A big fault with the previous games was Game Freak’s ambitious design that forces you to play the Pokemon games on the GameCube just to complete the Pokédex. Emerald makes up for this inconvenience through a revamp of the game’s Safari Zone—an in-game area featuring rare monsters. Aside from a few legendaries, most of the previously missing Pokémon became available to catch here. While Pokemon Emerald follows the series’ formula of releasing a sequel that combines the first two games of each generation, it does a great job of differentiating itself in many aspects avoids the common pitfall of being just another clone. 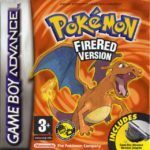 Game Freak has never released remakes of the third game in each generation, so you’ll probably only be able to play Emerald on the GBA platform. The expanded perspective is definitely a must play if you ever get the chance to. With Emerald’s timeless story and highly re-playable gameplay, Emerald remains a fun-filled experience for both new and older players of the series. 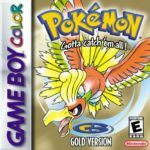 Pokemon Emerald Version game has only been ported to Game Boy Advance (GBA).